In early 2004, Tony Abbott delivered a couple of remarkable papers – “The Moral Case for the Howard Government” and “The Ethical Responsibilities of a Christian Politician” – in an attempt to regain the moral ground seemingly lost by the Australian Government. But what we have witnessed over this election year is not simply the predicable demise of an increasingly sclerotic Government which had fallen out of step with the modern sensibilities and values of the electorate. Instead, the Howard Government was a casualty of one of the more pronounced trends in global politics today: the simultaneous banalization of domestic politics and globalization of public morality. To put it simply, as the role of national governments is dwarfed by the enormity of trans-national economic flows and the unfolding environmental crisis, and as people’s habits are more and more enmeshed in the libidinal matrix of consumerism, any immediate sense of morality or common purpose becomes de-localised and cast onto the global stage. The core imperatives of this global morality are obvious, having been championed in the popular media and taken root in the zeitgeist through such slogans as “Fair trade not free trade” and “Green is the new Black,” and through the “Make Poverty History” campaign. These imperatives are: to mitigate the ravages of free market capitalism on the disadvantaged by means of domestic (grouped under the umbrella term, “welfare-state”) and international (fair trade, debt relief and foreign aid) measures, and to arrest the devastating effects of anthropogenic greenhouse gases on our lived environment through the restriction of carbon and methane emissions, sustainable growth and clean energy alternatives. But this statement also points to the substance of our moral crisis today. The supplementary social democratic values that Rudd here espouses merely grease the skids of the capitalist machine, as it were, “creating the human, social and environmental capital necessary to make a market economy function effectively.” Similarly, for Rudd, Al Gore and most other climate change centrists, the solution to our current environmental woes lies not in any radical curtailing of our industrial or consumerist habits, but rather in some supplemental technology that will neutralize the global economy’s addiction to high emissions – such as carbon geo-sequestration, limited use of renewable energy, or perhaps a gigantic solar disc that will block a portion of the sun’s heat. 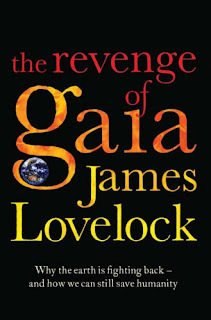 While Lovelock’s “Earth-at-war” stands for the absolute limit of global capitalism, pressing on capitalism’s certainties from the outside, as it were, it is imperative that we also recognize the internal or local limitations of capitalism. Noel Pearson has been rightly critical of Rudd’s reduction of the plight of Indigenous Australians to the disparity between the “privileged” and the “disadvantaged”, insisting that both terms already presume some degree of integration in the economic-cultural dynamic of capitalism. But Indigenous Australians are systemically excluded from the benefits of the free market economy, a state which no mere application of social democratic values can rectify. 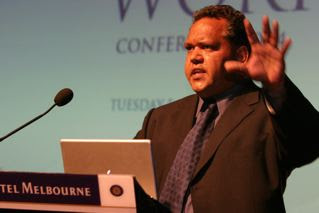 “Aboriginal disadvantage,” Pearson says, “has become entrenched during the decades when social democrats, small-l liberals and conservatives influenced policy; many policies for Indigenous Australians have been liberal and progressive.” Here too, we are forced to recognize capitalism’s structural incapacity to embrace everyone within its sphere of beneficence, its inherent moral deficiency. It is as if this vacuous brand of global morality that I’ve been describing has been spontaneously generated by capitalism itself as a kind of palliative, a way of softening the harshness of its insatiable growth and assuaging our own guilt. If so, then the almost evangelical fervour with which people confess themselves to be climate change “true-believers” might function rather like Marx’s “opiate of the masses” – a way of numbing our economic culpability, and of divesting us of our domestic responsibilities. Against this temptation to “globalize” our sense of morality, it has never been more important to insist on the concreteness of local ethical commitments. I would even go so far as to say that Australia has but one moral crisis on its hands – and that is the ongoing tragedy of Indigenous Australia. 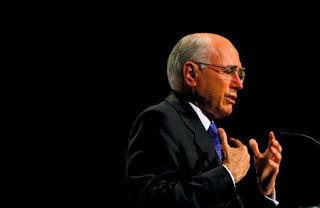 The irony, of course, is that for all of Kevin Rudd’s self-righteous posturing on Australia’s Kyoto obligations, it was John Howard that proved his moral worth by committing his next term in Government to a constitutional referendum on reconciliation.